Searching for clarity and purpose with a desire for a passion filled life? Wondering what’s next after the end of a career or relationship? Feeling pulled in a new direction? Inspired to create a change? Fed up with how you feel and want to step into your fabulousness? When we come together as women in an intimate space, the TRANSFORMATION, AWAKENING & HEALING that takes place is awe inspiring. 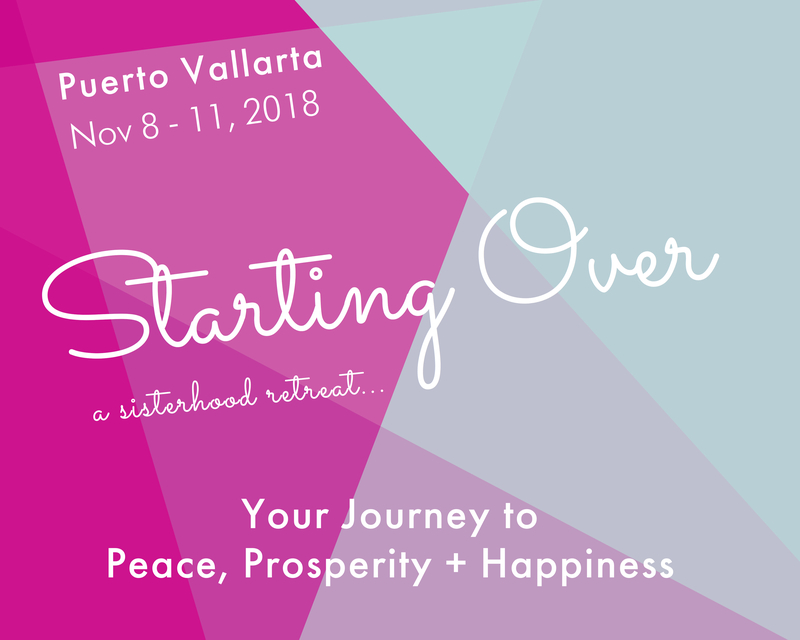 And this is exactly what you can expect at our Starting Over Retreat in Puerto Vallarta in November. This program has changed many lives and been the catalyst to inspire great shifts in abundance, self love and an unveiling of passions and gifts of women in our sisterhood. 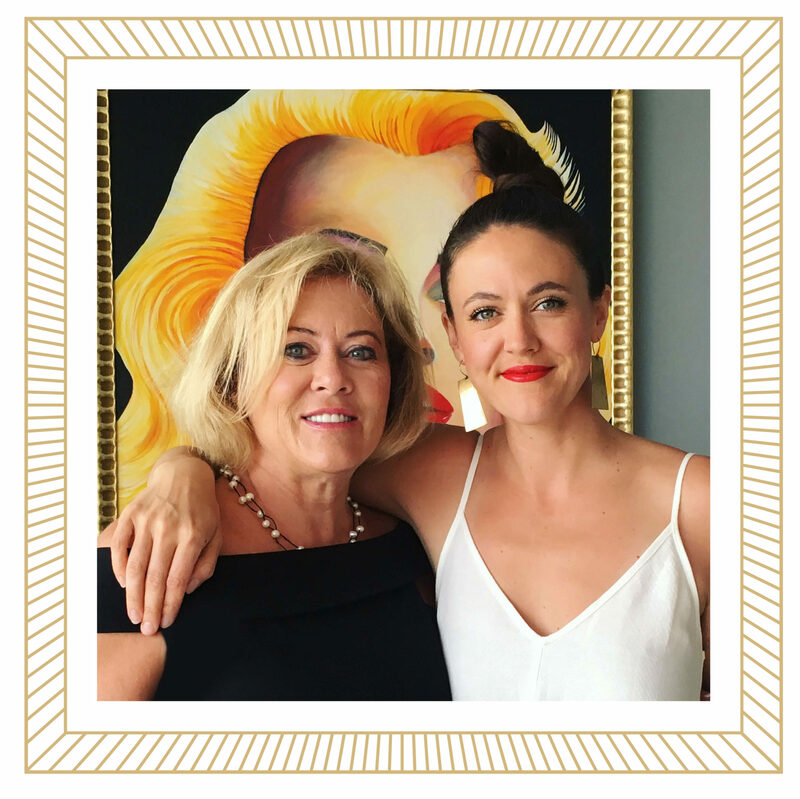 Bonnie developed Starting Over to inspire women to gain clarity, increase their intuition, discover their potential and passion, and create a road map to the life that they desire. Oh and did we mention amping up their prosperity? Sounds pretty amazing right? Well, it truly is! Come alone, or come with your girlfriends. You will be welcomed with open arms into our incredible high vibe tribe of radiant women! Learn our 7 Steps to Prosperity. It can be yours! Join us at our most powerful retreat yet! Feel inspired to create new prosperity in your life; Peace, Happiness, Health & Abundance. As a dynamic team, we’re bringing everything we’ve got, so to inspire an uprising of empowered, radiant, divine women to shake up this world and inject it with PASSION, COMPASSION, GRACE & ABUNDANCE. Expect Transformations & Miracles this November! It is required that all participants stay at the Hilton. It allows for the best transformations! Singles will be paired up with a roommate. **You will be contacted after you purchase your retreat ticket to arrange for accommodation. Cancellation: Full refund for your ticket when cancelation is within the first 30 days after purchase, after that time you will be given credit to use towards the next event or coaching program. Room booking fee is non-refundable. Your happiness and passion for life is of most importance. We’ve been known to say, “It’s practically magic!” It’s a weekend you’ll gain clarity and strong direction, supported by the beautifully powerful energy that is felt in the town. It’s a deep healing energy. You really feel like you’re getting away from it all as you release tensions and feel the sensation of a “magnificent vibration”. We support you in releasing the toxic energies that hold you back in your success and happiness, then lead you to open up to joy, happiness, & abundance. 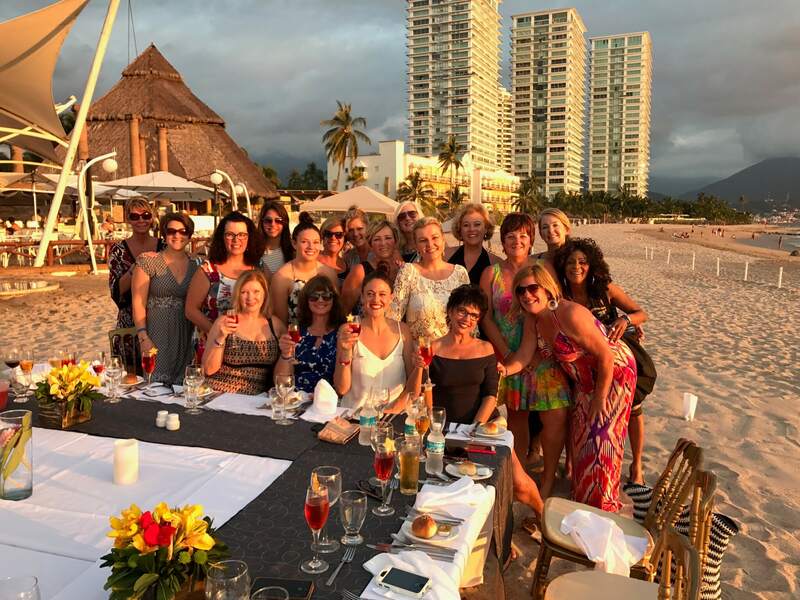 The Starting Over Retreat with The Little Black Dress plan in Puerto Vallarta was so much more than I ever expected. I was at a cross roads in my life and not sure what I wanted next. When I saw the ad for the retreat and I went with my Intuition and registered, it just felt right thing to do for me. The experience was an amazing , life changing and what an amazing weekend of fun laughter tears and joy. I feeI privileged to have shared the experience with Bonnie and Amber all the other women, many of who remain friends today. Bonnie and Amber are the best, I was not sure what to expect but the weekend surpassed anything I could have imagined. Their knowledge, skill, compassion and genuine caring lead me to a new place and by the end of the retreat a new me. I feel very honored and blessed to have met these two woman and came away believing in me again! 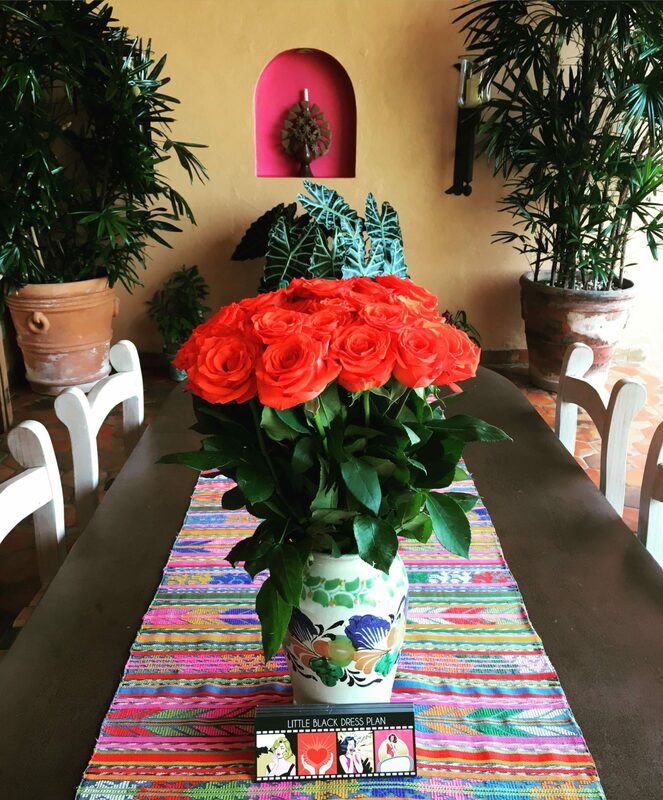 I returned home with new friendships and dream, and a desire to live life fully again. The retreat was the best gift I could of given myself and was just what I needed! Thank you Thank You Thank you! To all the beautiful women who have dreamt about being, doing, or having more!! I’m here to tell you my life was changed by the sStarting Over Retreat. Bonnie and Amber Joy give you all the tools you need with a whole lot of extra love and trust to reach your goals!!! I am ever grateful for the wisdom they have passed on. My time at the Little Black Dress Plan’s Sisterhood retreat has been phenomenal, awe inspiring…I’m buzzing and glowing with light. It has been absolutely wonderful to learn from mentors like Bonnie & Amber Joy. They are ladies & leaders who lead and inspire from a place of truth. This retreat has made a world of difference in my life and I plan to return for every LBDP retreat, because it’s so important for all women today to have this kind of connection. As a spiritual being, I need support from a sisterhood and I’ve just developed some incredible life long bonds with some of the women here and I want to continue to carry this forward in my life. Puerto Vallarta is so amazing! And the women at Starting Over are incredible. I hadn’t met anyone before coming and it can make you a little nervous, going to a place with people you don’t know. I learned that if you stay open, amazing things will happen! That is what this retreat has done for me, it’s opened me up to insightfulness, to love, to an incredible camaraderie with women I never thought that I would experience. It has been such a gift and blessing, and in only a few days. Change happens in an instant. So if you want change, if you want love, if you really want to find who you are, get connected with Bonnie & Amber and Start Over! The retreat was fantastic! We had so much fun and could feel the great sisterhood being built, as we all came together, everyone with the purpose of starting over. All the women were raising each other up, helping each other be the best version of ourselves. It’s a safe space, where we all get to share our transitions, focus on our passions, open up to living our biggest lives. I’d definitely recommend this retreat to anyone looking to get some clarity about the direction they want to go, or if you are starting over after a divorce, death, or transition. But it doesn’t have to be anything extreme, it could just be for you if you want to gain footing in your life and want to get pointed in the best direction for your goals and dreams. As a result of our Starting Over Retreats, women say they are able to determine their purpose in life and begin to live a life of prosperity & abundance. It may be after a death, a divorce, a career changing… No matter what, there comes a time when we all decide to start over. Your Journey to Prosperity, Peace & Happiness.